Hokkaido Air System Company, part of the JAL Group Company signed a Memorandum of Understanding with ATR for the purchase of two firm ATR 42-600s with an option for a third. Colombian airline EasyFly was another carrier to sign a Memorandum of Understanding with ATR at Farnborough International Airshow 2018, this time for five ATR -600 series aircraft. 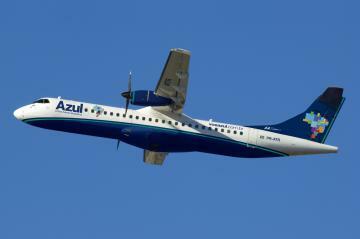 The order will comprise of three are ATR 72-600s and two of the smaller ATR 42-600s. EasyFly has been an ATR customer since 2014 when it began the progressive replacement of its fleet of Jetstream 41s. The new ATR 72-600s will mainly serve growing point-to-point operations from the hub of northern city of Bucaramanga, a city with one of the fastest developing economies in Colombia. 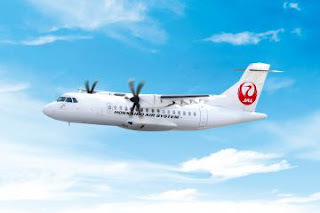 The ATR 42-600s will be used to further expand current operations, thus boosting regional point-to-point connectivity with the aim to support and increase ongoing development of local economies. Also confirmed at the airshow was an agreement with Azul, the Brazilian carrier for the renewal of their Global Maintenance Agreement (GMA). This new ten-year contract covers the repair, overhaul and pooling services of Line Replaceable Units, along with propeller availability and maintenance, plus an on-site stock support. Covering Azul’s whole ATR fleet, currently made up of 33 aircraft, this tailor-made support package represents ATR’s biggest maintenance contract.